Lt. Philip B. Gingerella Sr. 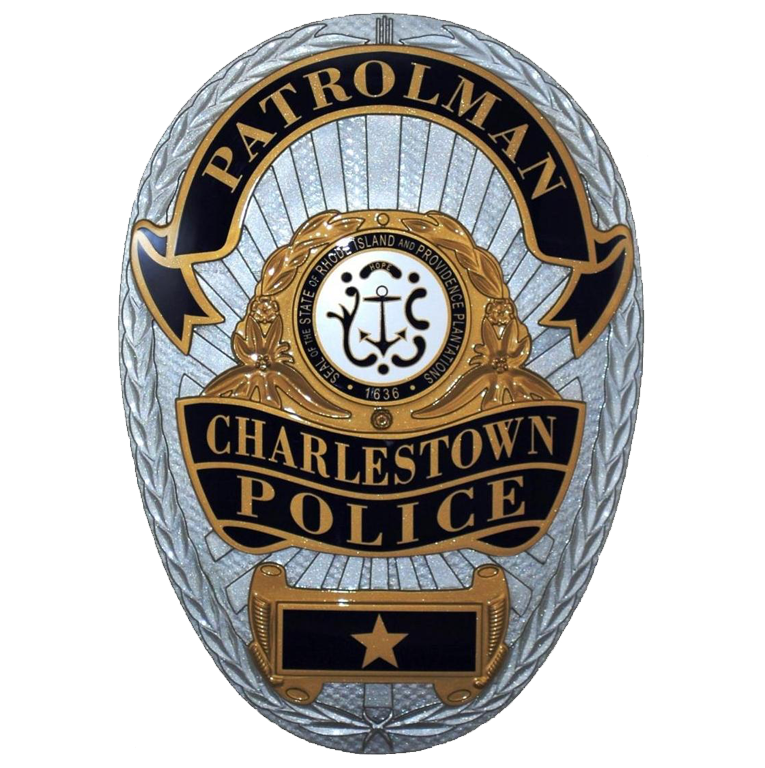 The Patrol Operations Division of the Charlestown Police Department is staffed by a total of sixteen (16) full time sworn police officers. The division is comprised of one (1) Lieutenant serving in the capacity of Patrol Operations Division Commander, four (4) Sergeants serving in the capacity of Patrol Shift Supervisors and eleven (11) Patrol Officers on various patrol shifts. The Lieutenant works an administrative schedule, the Sergeants and Patrol Officers work one of three duty shifts to include 7AM - 3PM (days), 3PM - 11PM (evenings) and 11PM – 7AM (nights). All patrol shifts have minimum manning coverage throughout the year consisting of three (3) officers per duty shift from May - September and two (2) officers per duty shift from September through April. The Patrol Operations Division is responsible to responds to all emergency and routine calls for service, conduct traffic enforcement and random patrols and to provide all aspect of law enforcement services to the community. In addition they assist the other law enforcement agencies having jurisdiction within areas of the Town of Charlestown to include, the Rhode Island DEM Environmental Police, the Rhode Island State Police, the US Fish and Wildlife Service and the Narragansett Indian Tribal Police. Our highly trained and well educated law enforcement officers are ready (24) twenty four hours a day, seven (7) days a week to respond and investigate any and all police related matter. They deliver services with pride, integrity and professionalism. The Patrol Operations Division also contains all elements of the Charlestown Emergency Dispatch Center. This unit is staffed by four (4) full-time emergency dispatchers, one (1) part-time dispatcher and several per-diem dispatchers. The Emergency Dispatch Center is routinely staffed with one (1) emergency dispatcher per shift unless extraordinary circumstances dictate additional staffing. The communications section is supervised by the Patrol Shift Supervisors and managed by the Patrol Operations Division Lieutenant. The Charlestown Emergency Dispatch Center is the primary answering point and dispatching service for all emergency and 911 calls for service in the Town of Charlestown. The Charlestown Emergency Dispatch Center provides twenty four (24) hour emergency dispatch services for the Charlestown Police Department, Charlestown Ambulance-Rescue Service and the Charlestown Fire Department. Our dispatch center works closely with all neighboring emergency dispatch services and departments, including all state and federal agencies. Our highly trained and educated emergency dispatchers are always ready to handle any type of emergency situation. 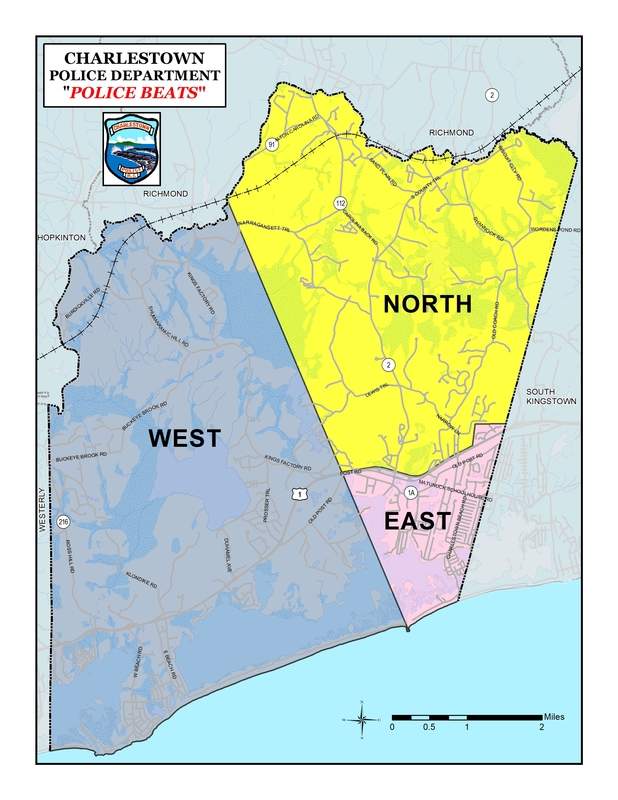 The Patrol Operations Division contains an additional twenty (20) part time sworn and non-sworn police reserve personnel referred to as Special Police Officers (SPO) and Traffic Constables (TC). They assist in event security and public safety, emergency operations and highway traffic direction and control throughout the year. The Patrol Operations Division contains all elements of the department’s training programs, police fleet and emergency vehicles, facilities maintenance, the Rhode Island Police Accreditation (RIPAC) program and several additional part time civilian staff.